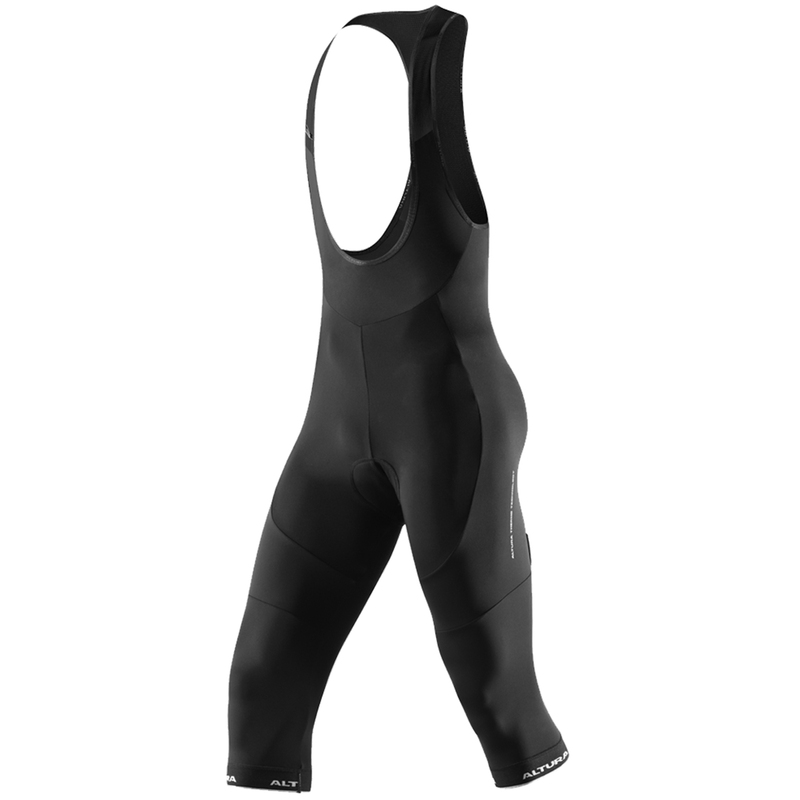 The Altura Progel 2 3/4 cycling bib shorts have been engineered to protect you during cold, wet riding conditions. Made from Altura Thermo™ thermosuede fabric the Progel 2 provides insulation and warmth while the multi density ProGel™ seat pad delivers ultimate comfort in the saddle – keeping you riding longer. Mesh bib straps help to keep you cool and helps avoid unwanted pressure points while reflective trims down the legs and across the rear provides an extra level of visibility to help you been seen in low light conditions. Warm and very well made, straps dig into the shoulders when stood up, painfully so, you don`t notice it when riding. Front is very high, you need a pee, you have to take off your upper layers and remove the bib straps...not so good on a cold, wet day. Good quality, good fit, comfortable, warm. Will ride them more next winter and see how long they last.